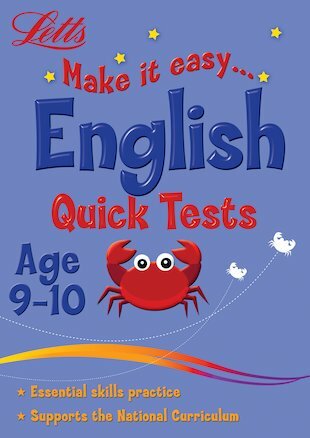 A handy self-test book to support your studies and get you ready for assessments. The quick way to make English that bit easier! This book contains thirty tests based on National Curriculum learning objectives, each broken down into ten questions that take about ten minutes to complete. You’ll find the answers to each test at the back of the book, as well as a ‘testometer’ that you can colour in to see how well you’ve done. Go on – learn the easy way!